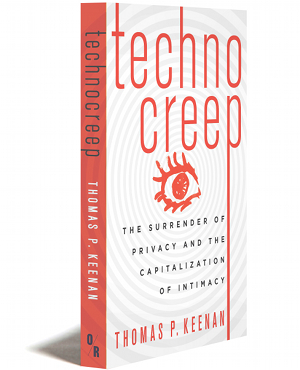 "A leading participant in and observer of how the Internet is changing politics and society." Now that communication can be as quick as thought, why hasn’t our ability to organize politically—to establish gains and beyond that, to maintain them—kept pace? The web has given us both capacity and speed: but progressive change seems to be something perpetually in the air, rarely manifesting, even more rarely staying with us. 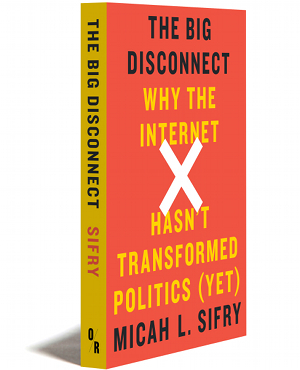 Micah L. Sifry, a longtime analyst of democracy and its role on the net, examines what he calls “The Big Disconnect.” In his usual pithy, to-the-point style, he explores why data-driven politics and our digital overlords have failed or misled us, and how they can be made to serve us instead, in a real balance between citizens and state, independent of corporations. Micah L. Sifry is a writer, editor, and democracy activist. As co-founder and editorial director of Personal Democracy Media, he helps run the annual PDF conference and daily techPresident.com news-site, which focus on the ways technology is changing politics, government and civil society. He is also a senior adviser to the Sunlight Foundation, which he helped found in 2006, and serves on the boards of Consumer Reports and the Public Laboratory for Open Technology and Science. 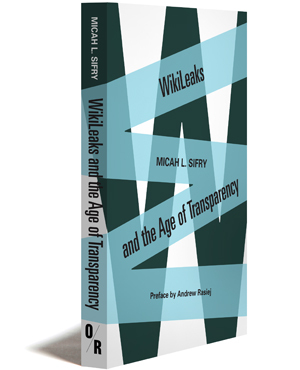 He is the author or editor of six previous books, most recently WikiLeaks and the Age of Transparency. In the spring of 2012 he taught “The Politics of the Internet” at Harvard’s Kennedy School. His personal blog is at micah.sifry.com and you can follow him on Twitter at @mlsif. On the left, the open Internet and connection technologies have given anti-war and pro-civil liberties dissidents like writer Glenn Greenwald a standing and reach that, if we had a multi-party political system, would surely be rewarded with a healthy segment of the popular vote. And Occupy Wall Street, which was organized almost entirely outside the contours of “normal” American politics by anarchists inspired by the protest movements of Europe and the Arab Spring, was able to briefly upend the political debate and focus attention on inequality in America, a topic the two major parties uniformly ignore. · In 2004, the average cost of winning a seat in the U.S. House of Representatives was $1.26 million (in inflation-adjusted 2012 dollars), according to the Campaign Finance Institute. In 2012 it had risen to $1.6 million. On the Senate side, the average winning campaign cost $8.7 million in 2004; in 2012 that had risen to $10.4 million. · If the Internet was democratizing electoral politics, then small donors would be stepping up and playing a bigger role in helping candidates clear these tougher thresholds. But on the whole they aren’t. In the 2004 cycle, just eight percent of the money given to House candidates came from donors giving less than $200. In 2012, that percentage had inched up to just ten percent. Big donors (those who give more than $1000) and PACs still mattered far more to House candidates, delivering a whopping 71% of all the money raised in 2012 (which was, in fact, more than in 2004). On the Senate side, the percentage of money going to candidates from donors giving less than $200 didn’t change at all: it was 17% in 2004 and 17% in 1012. · Political challengers, whom one might expect would be the beneficiaries of any surge in participation by small donors, in fact have seen little overall benefit. In the 2004 cycle, House challengers raised 18% of their total funds from small donors. In 2012, that percentage had dropped to 14%. The total amount given by small donors had indeed increased, from $16 million to $25 million. But this was dwarfed by an even bigger increase in the role of larger donors. And on the Senate side, while small donations made up a larger percentage of the money flowing to challengers, again there was no real change in the magnitude between 2004, at the dawn of big online fundraising, and in 2012. Senate challengers raised 27% of their cash in small donations in 2004, and 26% in 2012. · It’s true that the Internet has enabled the rise of a handful of new organizations that bundle contributions to political candidates, especially on the Democratic side of the aisle, and many of these donations are from small donors. In 2012, ActBlue, the biggest online aggregator of Democratic donations, bundled $30 million to House candidates and $18 million to Senate candidates, and slightly more than half of those amounts came from small donors. It’s also true that Senator Elizabeth Warren of Massachusetts was able to match Wall Street (which supported her opponent Scott Brown) dollar for dollar with a huge national base of small donors. And self-activating groups of liberal activists working through large community blogs, most importantly DailyKos.com, have sometimes rallied themselves to recruit and raise early money for new candidates, not only in congressional races but sometimes even state legislative fights. But while promising, these are still exceptions to the rule. · Re-election rates for Congressional incumbents have also barely changed. Yes, in 2010 and 2012 somewhat more incumbents than usual lost their seats in House races—but, respectively, 85% and 90% were re-elected in those cycles, according to the Center for Responsive Politics. Re-election rates for Senators tend to fluctuate more, since there are fewer races and more competition, but in 2012, 91% of sitting Senators up for election were returned to office. The advantages of incumbency (gerrymandered districts, franking privileges, pork, greater media attention) are still quite real. · Even more shocking, the lowered barrier to entry has not enticed more people to run for state office. In 2012, nearly 40% of all state legislative candidates ran for office unopposed by a candidate of the other major party, according to the invaluable Ballot Access News. And for all the talk of “change you can believe in,” and the number of times the media reported that Barack Obama had organized a mass movement using the latest digital technology, and that he would enter office with an army of millions helping him bring real change to Washington, DC, very little changed. Campaign Finance Institute, “The Cost of Winning an Election, 1986-2012,” http://www.cfinst.org/pdf/vital/VitalStats_t1.pdf. Michael Malbin, Campaign Finance Institute, personal communication to author, September 2, 2013. Michael Malbin, “Small Donors: Incentives, Economies of Scale, and Effects,” The Forum: A Journal of Applied Research in Contemporary Politics, Volume 11, Issue No. 3 (October 2013). Schlozman, Kay Lehman, Sidney Verba and Henry E. Brady, The Unheavenly Chorus: Unequal Political Voice and the Broken Promise of American Democracy, (Princeton, NJ: Princeton University Press) p. 505. Richard Winger, “Major Parties Fail to Nominate Candidates in Almost 40% of State Legislative Races,” Ballot Access News, October 25, 2012, http://www.ballot-access.org/2012/10/major-parties-fail-to-nominate-candidates-in-almost-40-of-state-legislative-races.